Like every summer in Santorini things can’t stop happening. To be more precise new venues are openings, new shops and cultural associations are open its doors to share the history and the innovative concepts of the things happening in Santorini. Join us for an all the latest from Santorini preview: Summer 2017 edition. Let’s start from the capital Fira where Megaro Gyzis (Gyzis Mansion) expanded the museum halls and here you can take a complete idea for the history of Santorini through very interesting exhibits and art installations. Moving north a lot of things are happening in Imerovigli with international concepts acquiring now their position in Santorini’s caldera, where in the amazing village of Oia the shopping scene is now enriched with new shops. As for the wineries, there is some exciting news for wine aficionados. The Argyros Estate has now moved to its new premises which combine the modern elements inspired by the traditional aspects of Santorini. Some great events are getting ready to be organized in the Santorini Arts Factory in Vlychada where the music concerts at La Ponta in Akrotiri keep sharing some amazing moments with music and amazing views. As for the major events of 2017 are already scheduled the Art of Motion, the amazing parkour event at October 7th, and the Santorini Experience is going to be held from 6th to 8th of October. The Santorini spectacle Ifestia, representing the eruption of the volcano is to happen on September 16th. 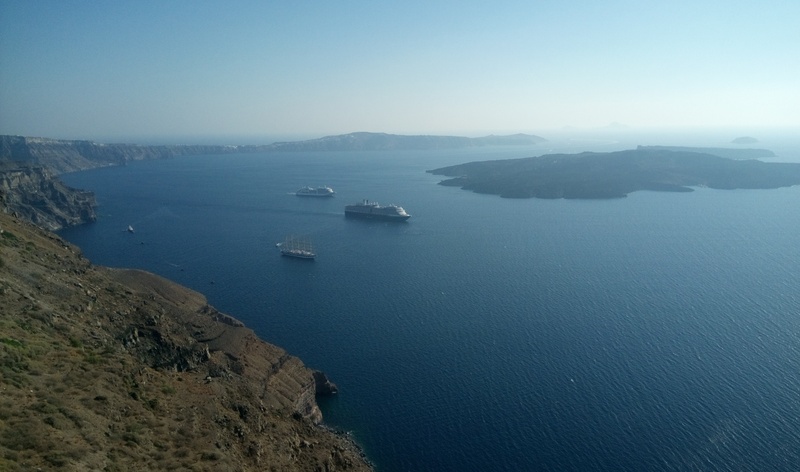 New tours and spots like the island of Thirasia, two more EU Blue Flags (for the beaches of Perivolos and Vlychada) and new initiatives are scheduled or already waiting to make you part of the Santorini beauty and excitement. Hope you enjoyed our Summer 2017: All the latest from Santorini island and you have to know that to enjoy all these you just have to book your room or suite. And we do have an idea: www.ira-hotel.com.